Portland Shave Shop isn’t just a shaving and beard supply store; we are a full-service barbershop with everything you need to keep you looking and feeling your best. You take time to tend to your skin every day, but what are you doing about that magnificent mane? If getting the right haircut is the first most important step to having a great look, having the right hair product and knowing how to use it is the second. What is Bona Fide Pomade? Bona Fide makes killer hairstyling products including pomades, sprays, combs, and more. They are also a really solid group of hard working people right here on the Best Coast! 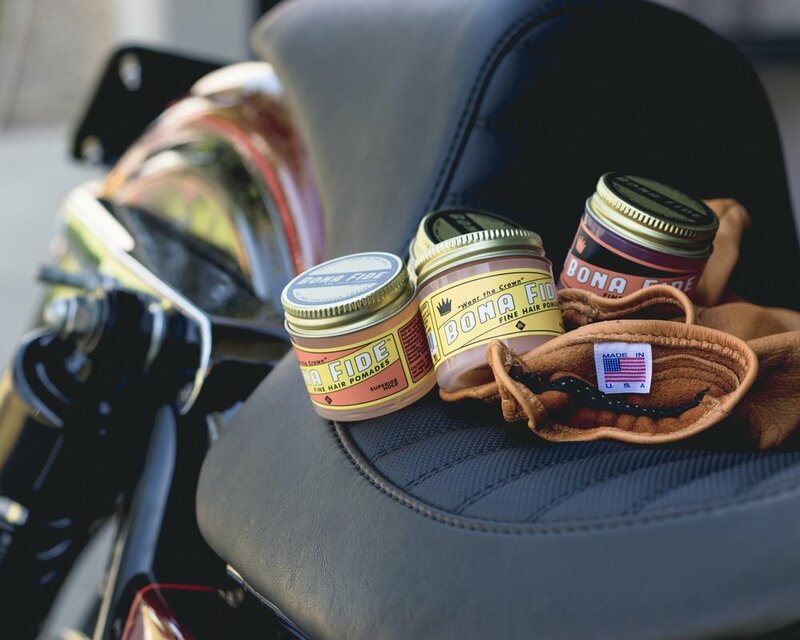 They started in 2012 with a single product offering, the “Superior Hold” pomade, and have since expanded to include products for all kinds of hair types and styles. What we love about them is their understated authority: their brand is clean and well-managed (just like your hair should be), without any over-the-top, grandiose claims of greatness, and with just the right amount of old-school style. “Through and through, Bona Fide is transparent, honest, and everything I do is in “good faith” which is what the latin phrase bona fide means. I wouldn’t have it any other way.” (Luis, founder of Bona Fide Pomades, quoted from Bona Fide's website). All of Bona Fide’s pomades have a characteristic, yet subtle, citrus-sweet smell when you open the jar. The whole line is water-based and non-greasy, so they can be reactivated to adjust your hairstyle midday with a splash of water or a wet comb. Speaking of combs, they make an “unbreakable” pocket comb that is perfect for on-the-fly adjustments, and you can sit on it (seriously, try it out. It just bends)! They also make a sturdy 8” tortoiseshell comb with a variable teeth sizing and spacing for all the Rodins in the readership. All-told, our experience with Bona Fide Pomades products has been nothing short of a dream. We can happily say the same of their customer service; Bona Fide’s team was personable and exceptionally easy to work with. These are people and products we are happy to support and have in our shop! So, how about it? Will you join us and “wear the crown”?